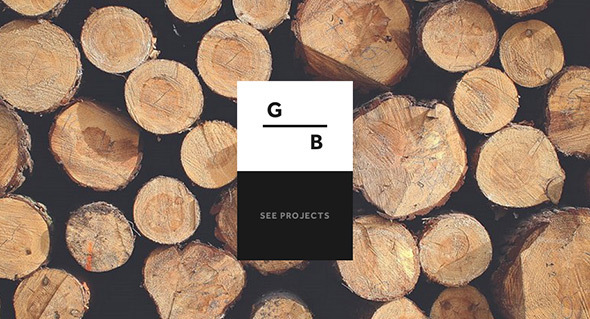 Lovely site for Guillame Bouvet, French industrial designer. 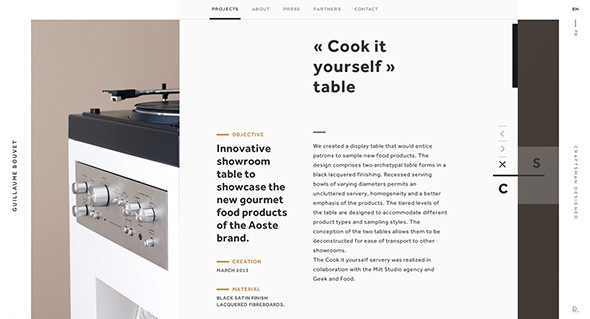 Modern and fresh the editorial layout combined with transitions and animations brings out the details in his creations. 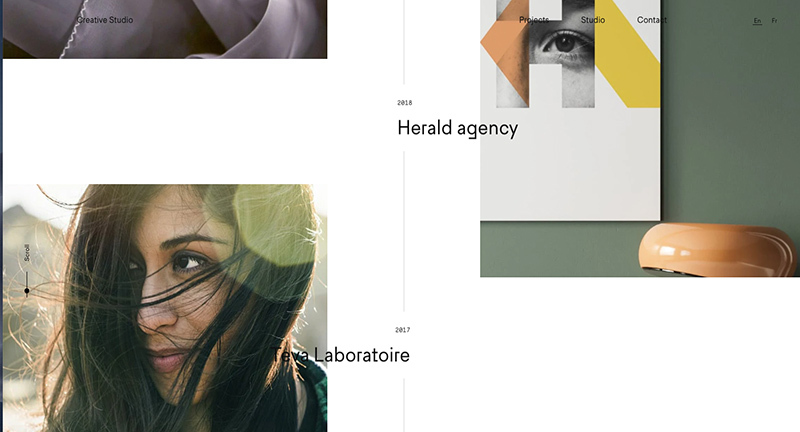 Love the way you zoom into images – all within the white frame. 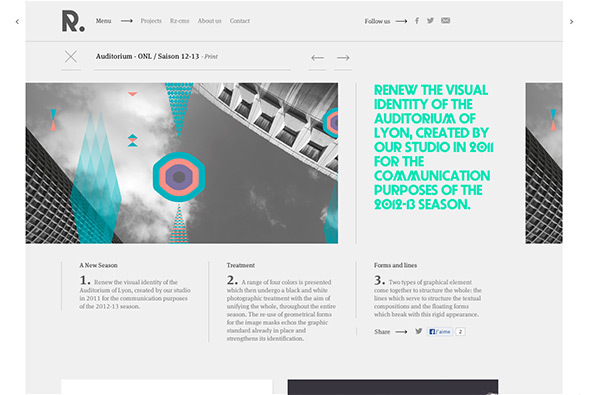 It looks great and all the small details, rollovers – animations and so on bring it all to life. 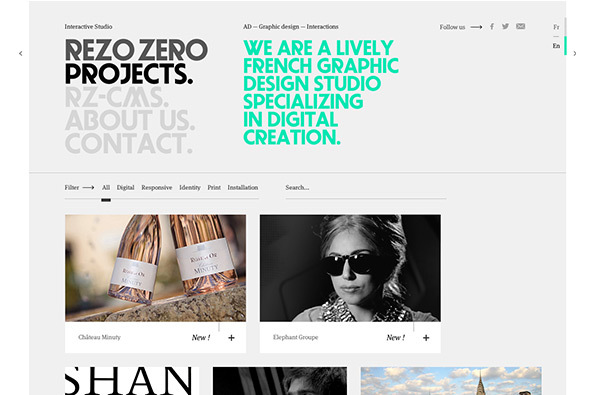 Portfolio site of French agency Rezo Zero. 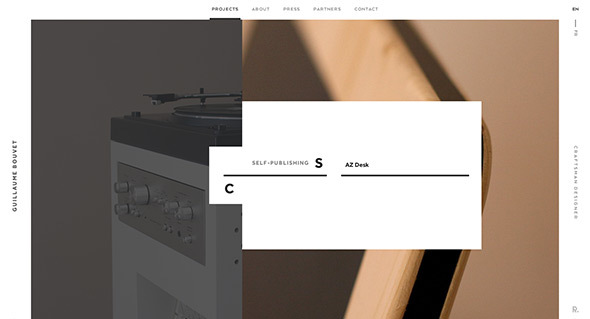 Nicely considered layout and subtle animations bring the design to life, with a modern and fresh look and feel. 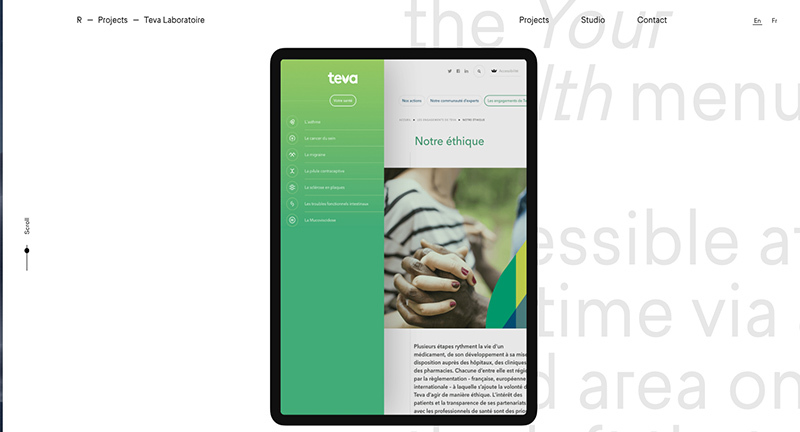 Really like the transitions from section to section and the way the images filter through and the layout for the individual case studies – telling the story in an interesting way. 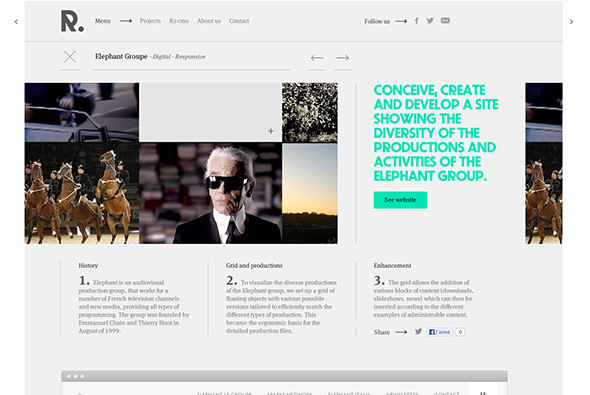 Nice example of a modern agency portfolio.